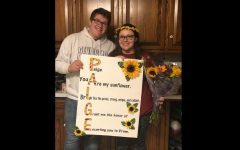 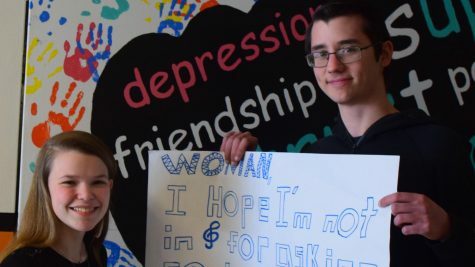 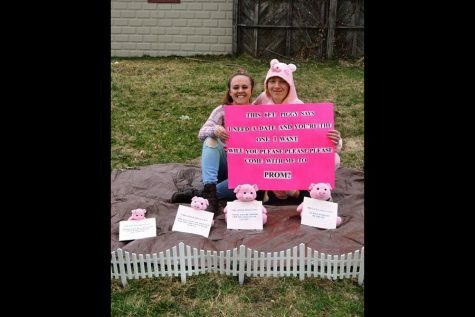 Ava Focht and Bryce Bauer with their third promposal in the contest. 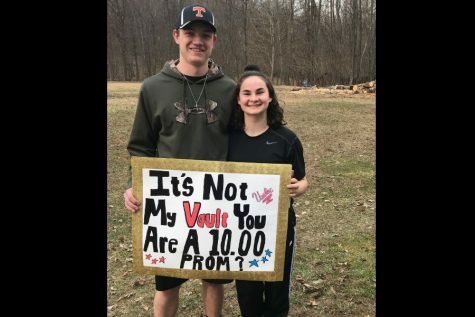 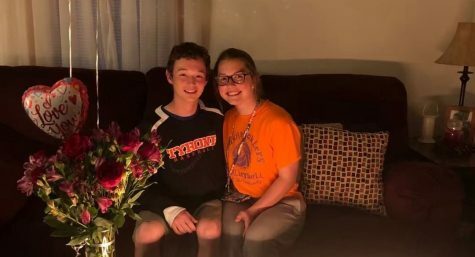 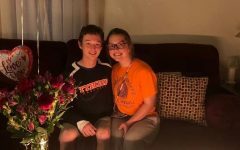 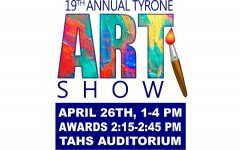 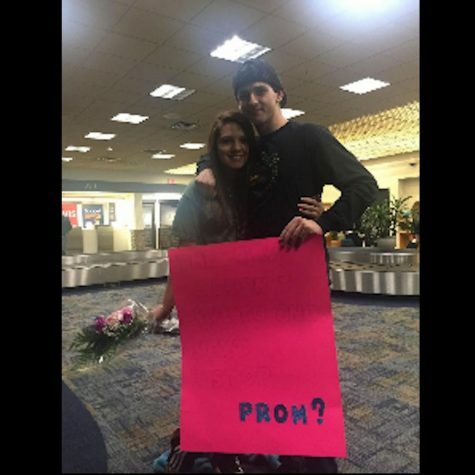 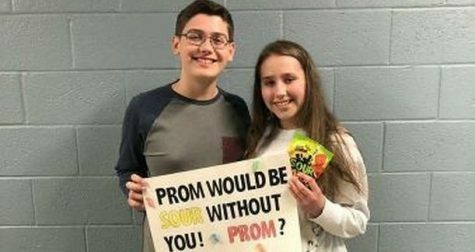 Senior Ava Focht and TAHS Alumni Bryce Bauer will be celebrating their third and final prom this year along with their two year anniversary. 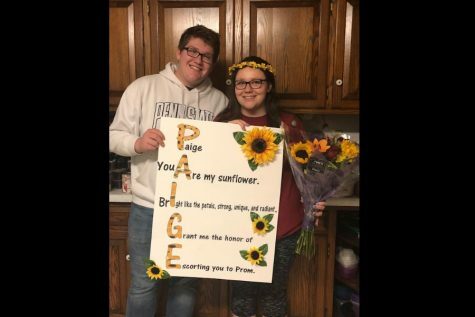 Switching it from from the past two years, Ava decided she would now prompose to Bryce. 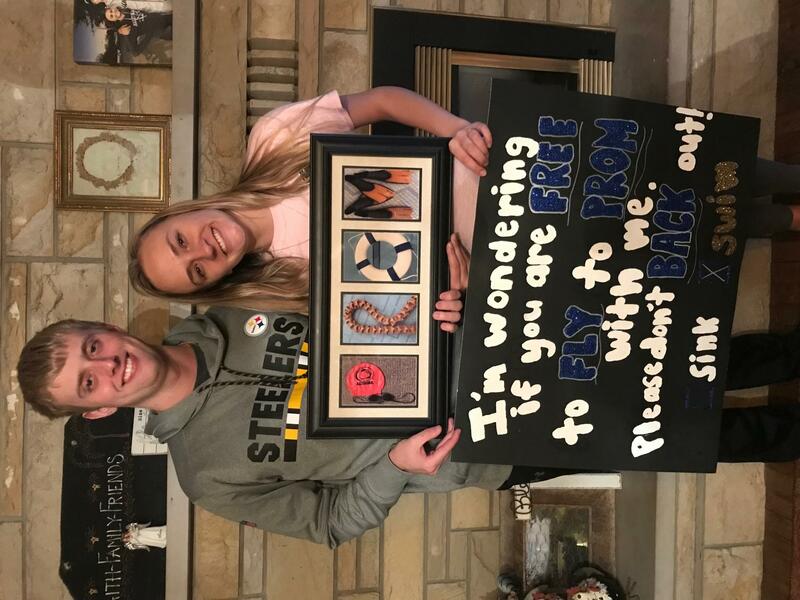 Since Bryce swims in college, Ava knew she wanted to incorporate this into the promposal. 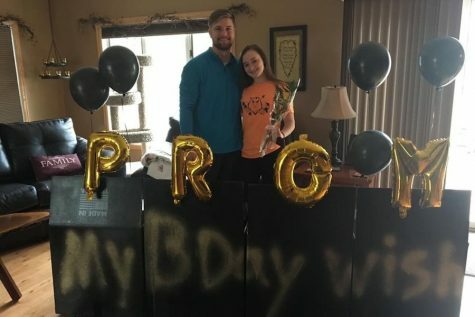 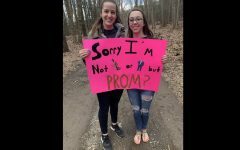 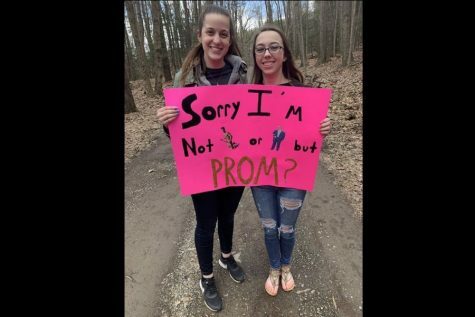 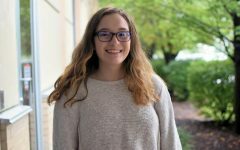 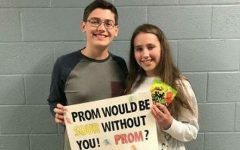 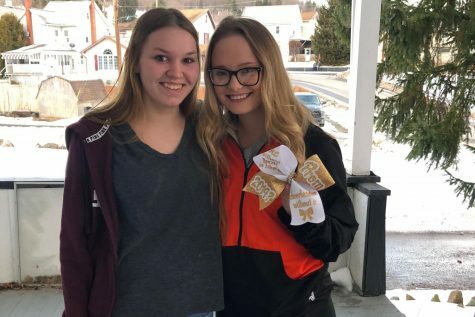 Ava also knew she wanted to continue the scavenger hunt theme and had Bryce search around her whole house to find her holding a sign decorated with swim equipment saying “PROM?”.